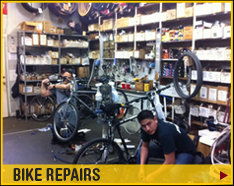 There are a few simple bicycle maintenance procedures that everyone should know. 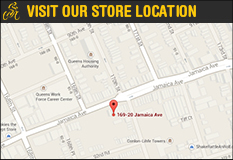 By taking the time to follow these easy tips, you will reduce your chances of needing a serious repair down the road. That means more time riding! 1. Air pressure: Check the sidewall of your tire for the recommended inflation pressure. Do not use a gas station or similar type of pump, as they can burst bicycle tubes and tires. 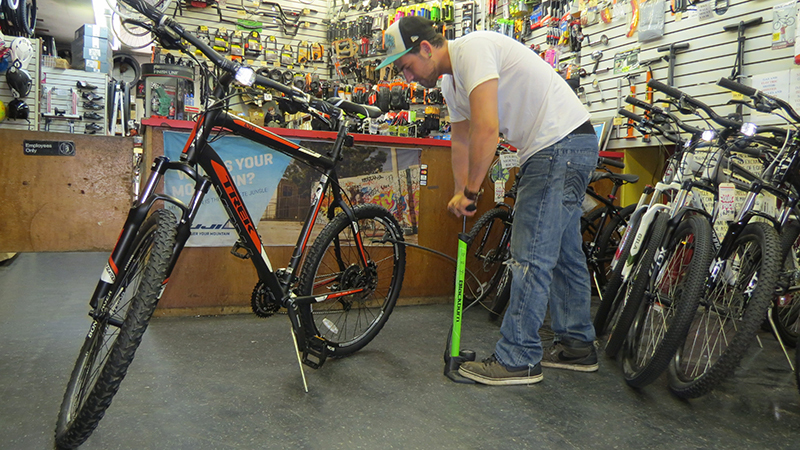 Use a pump designed specifically for bicycles. A floor pump with a gauge is the fastest and most accurate. Use a mini pump or CO2 inflators for emergency use. Remember to always ride with spare inner tubes or patch kits in case of a flat while riding. 2. 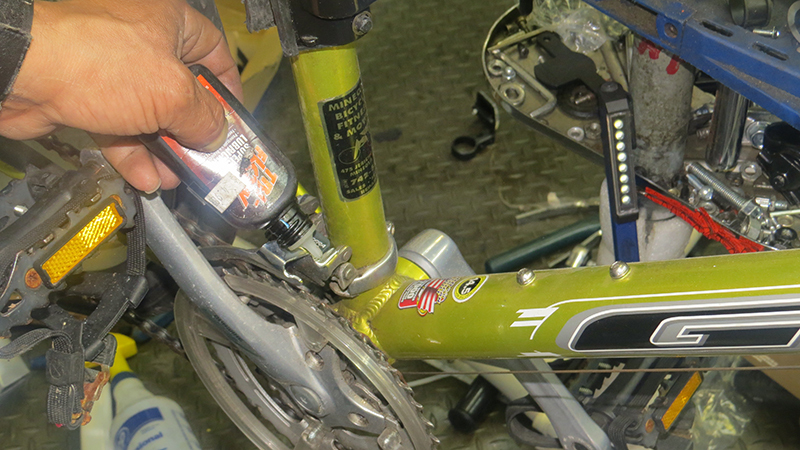 Lubrication: Keep your chain, sprockets, and moving parts lubricated to ensure the highest level of riding satisfaction. 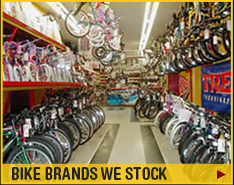 Only use bicycle lubricants and make sure not to get any lube on your rims or brakes. Especially if your bike has disc brakes and rotors. 3. 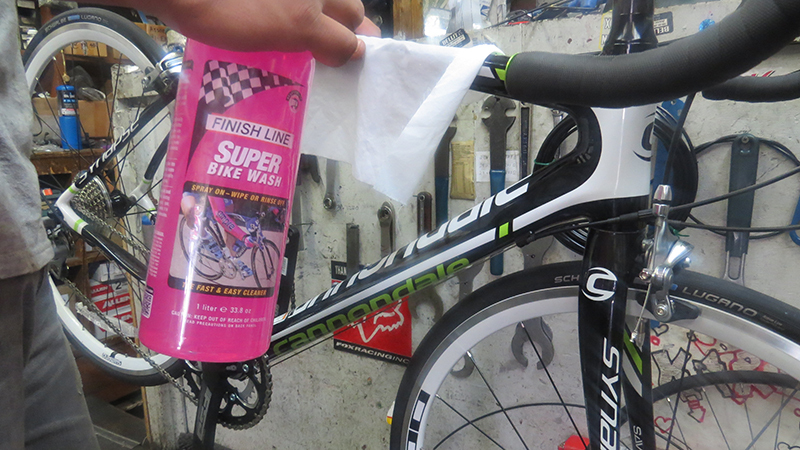 Cleanliness: Keep your bike clean. Only use cleaners recommended for bicycles. It may be necessary to clean or degrease your chain and sprockets from time to time as grit and grime form.